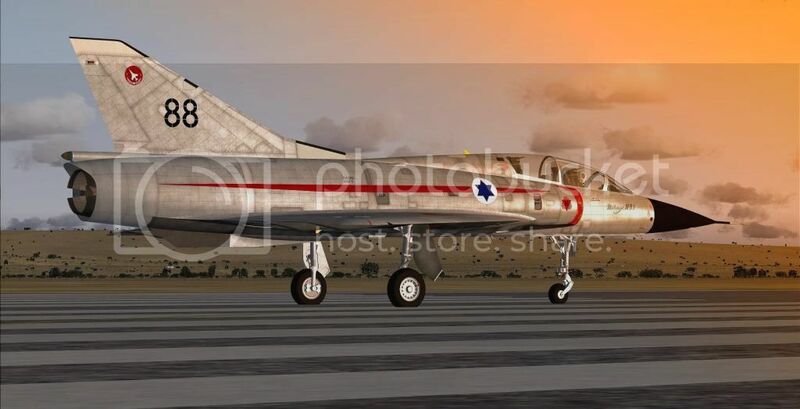 Presenting Israeli air force Mirage IIIBJ!! Nice bird! Is the second shot edited? Looks beautiful. It doesn't matter if you can fly it, Aharon, it's pretty just sitting there. Of course, you could always take the bull by the horns, shove the throttle forward and just enjoy the ride! Thanks Rishabk97 and KCD for kind words. I found English language manual for this model but cannot find auto altitude and auto speed!!!! Only part of sky is edited. 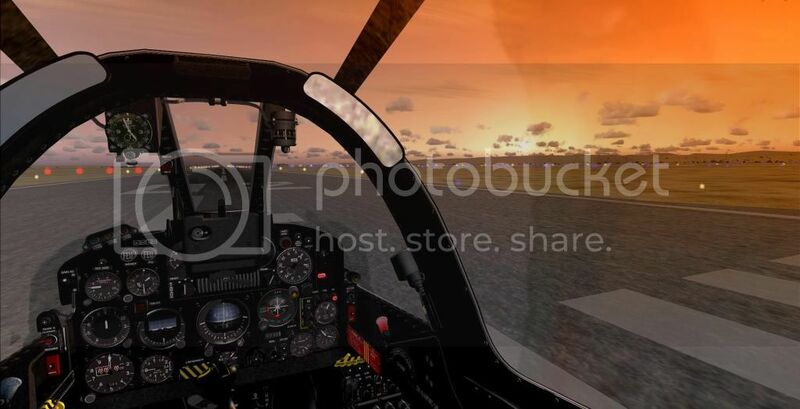 Rest is FSX default. Nice shots Aharon! I'm like you I can't read French. Where did you find an English manual? WHOA WHOA you worked on Kfirs?? Wow that is real cool!!! Thanks for your kind words. Jamminjames, Thanks for your kind words. I managed to find English manual that came with the model base but I cannot find in the manual for auto speed and auto altitude!!! A couple of very nice pics. of your Mirage Aharon. Yes, I worked on Kfirs for 2+ years, back in 87-88. In Yuma, Az. of all places. Had 15 of them there for an "agressor" squadron, American pilots, Active duty USMC, and a mixed Israeli/American (civilians) maintennance force. I got the job actually 2 months before I got out of the Marines after 10 years, by taking terminal leave and going to work for them during that time. I picked up a little Hebrew while I was there, and wound up fairly fluent, in a very limited fashion! What little I did speak, I did with "no accent" according to the ones that I talked to on the phone. I confused a lot of the Israeli wives who called looking for their husbands They would think I was an Isaeli and start going a mile a minute. Confused the hell out of me at first! Israeli Air Force A-4H/N Skyhawk (INTERESTING SERIES!!) A-4 Lovers, Check this! !